90 photos taken at the Rizhskiy museum in north Moscow. The loco classes are shown in chronological order. 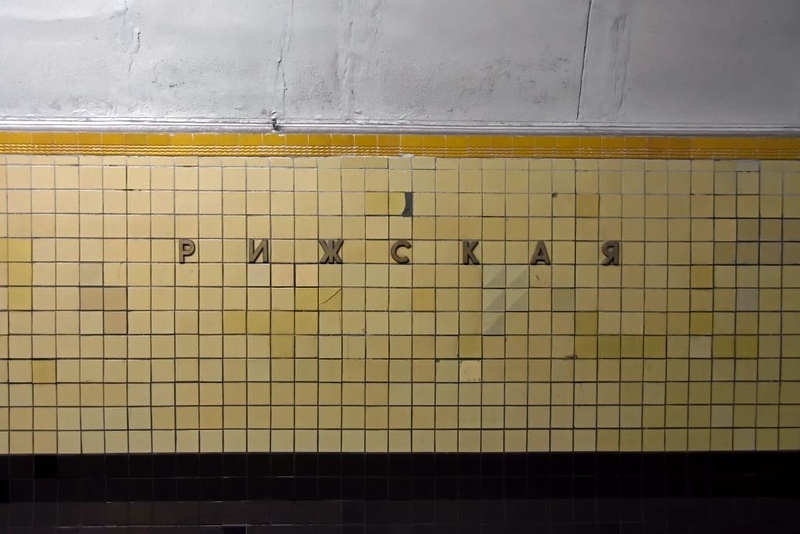 Rizhskaya metro station, Moscow, Sun 30 August 2015 1. The sign for the station name. It is on line 6.